Pastor: Church, please open your Bibles to Nahum 1:9′. At this point, half of the church have no idea what Nahum is not to speak of where it is! Two-thirds are sure they have heard of it before somewhere but have no clue where to begin the search. The remaining people are certain it is somewhere in the Old Testament and begin frantically searching but after 2 minutes resort to the Table of Contents. This just goes to illustrate the fact that Nahum is one of the most ignored, most unread books of the Bible by most Christians along with the likes of Ezra, Haggai, Zephaniah and Philemon. I was just there in my room today, praying/browsing/watching ANTM and I thought, ‘hmm, Temi, you don’t know much anything, about Nahum. 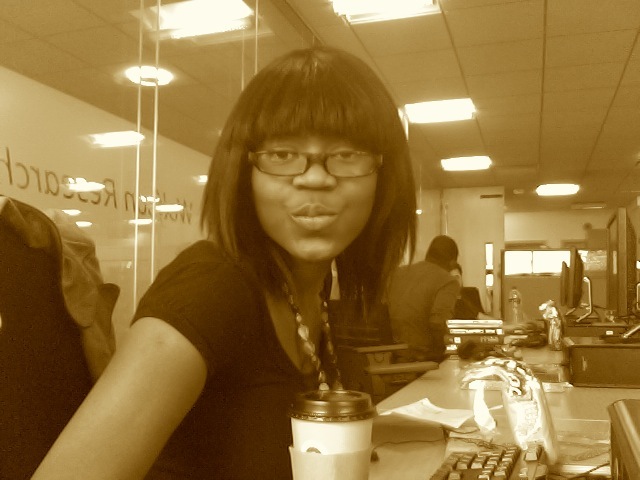 So I decided to blog about it. But before I could do that, I had to sit and actually read it. It’s not that long (just three chapters, actually). On opening to page 906 of my Bible (yes, I had to refer to the Table of Contents! ), my first thought was that ‘hmm, a rather dry account of history which is really not very relevant today’ and ‘what/where on earth is ‘Elkoshite”?. It took all my will power not to flip to my good ol’ Psalms. I must admit, it paid off. I’ll share with you my discoveries. Nahum pretty much had a vision and boy, it was not a pretty one. It was one fully describing the wrath of God against a place called Nineveh (remember from Jonah?). God was very vexed with Nineveh and Nahum’s vision had details of the destruction that was to come upon the city/town/country (let’s just say ‘place’). 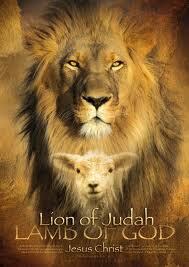 As we know, our God is a Lion (Revelation 5:5) yet a Lamb (Revelation 13:8). 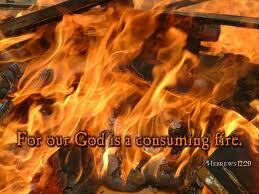 He is a merciful God (Psalm 100:5) yet a Consuming Fire (Hebrews 12:29). Nahum brought to the fore the ‘Lion’ and the ‘Consuming Fire’ attributes of God. So why exactly was God so angry? As I mentioned earlier, the prophecy of Nahum is directed at Nineveh where Jonah was sent to by God. When Jonah preached in Nineveh (after much persuasion and in fact outright force! ), the city repented in sackcloth and ashes. God’s anger was withheld from the city and he spared it, because from the king on down to the lowest citizen, they turned to God and repented of their sins. 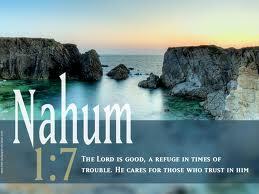 The book of Nahum comes some one hundred years after the episode of Jonah. Nineveh, unfortunately had gone back to their old ways and God was mad at them, very mad! I remember when my dad used to beat smack me when I did something silly, he would roar ‘I am doing this because I love you!! !’ Well, the same thing goes with God for whom the Father loves, He chastises (Hebrews 12:6). Nahum also nicely tells of ways of escaping God’s anger: The Lord is good, a stronghold in the day of trouble; he knows those who take refuge in him (Nahum 1:7). Well, they’re from Nahum 1:5! As Paul advised, “All scripture is inspired by God and profitable for teaching, for reproof, for correction, and for training in righteousness, that the man of God may be complete, equipped for every good work.” (2 Tim. 3:16,17), therefore, we ought to fall out of the habit of ignoring any part of the Bible. Plus, there is so much to learn from Nahum. 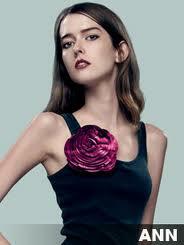 In other news, Ann (whom I told you guys is my fave in ANTM Cycle 15) has made history! She is the first contestant to be called first four consecutive times for best picture in the history of America’s Next Top Model!! !